Starbucks Corp. (NASDAQ: SBUX), the world's largest specialty coffee retailer, is scheduled to release financial results for fiscal first quarter after the closing bell on Wednesday, January 20, 2010. Analysts, on average, expect the company to report earnings of 26 cents a share on revenue of $2.58 billion. In the year ago quarter, the company reported earnings of 15 cents per share on revenue of $2.62 billion. The chain has topped expectations in the last three quarters. The firm quickly adapted to changing macroeconomic environment and streamlined operations. 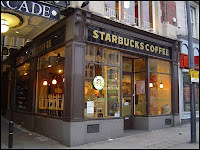 Starbucks took a number of actions in fiscal 2008 and 2009 to rationalize its store portfolio. These actions have included plans (announced in July 2008 and January 2009) to close a total of approximately 800 Company-operated stores in the US, restructure its Australia market, and close approximately 100 additional Company-operated stores internationally. As of the end of fiscal 2009, nearly all of the approximately 800 US stores, 61 stores in Australia and 41 stores in other International markets have been closed. The remaining International closures are expected to be completed by the end of fiscal 2010. Early in November, the Seattle, Washington-based company reported that its fourth quarter profit rose sharply from last year, as its cost cutting initiatives helped improve margins. Net income surged to $150.0 million or $0.20 per share, compared to $5.4 million or $0.01 per share in the year-ago period. Excluding restructuring charges, non-GAAP net income for the fourth quarter was $184.1 million, or $0.24 per share, compared to $71.0 million, or $0.10 per share, in the prior year quarter. Quarterly revenue dropped 4% to $2.42 billion from $2.52 billion in the same quarter last year. Analysts, on average, expected the company to earn $0.21 per share on revenue of of $2.39 billion. The company attributed the revenue decline mainly to the the impact of a stronger U.S. dollar relative to the British pound and Canadian dollar, 385 net fewer company-operated stores open in the quarter as compared to a year ago and a 1% decline in consolidated same-store sales. GAAP operating margin for the quarter improved to 8.2% from 0.6% a year ago, while non-GAAP operating margin increased to 10.4% from 4.7% last year. The improvement was driven by cost savings initiatives, majority of which are the result of in-store operating improvements focused on labor efficiencies and reduced product waste, and lower non-store support costs. Thanks to improving same store sales trends and the increasing impact of its cost savings efforts, Starbucks in November raised its earnings outlook for the fiscal year 2010. The company said it now expects fiscal 2010 non-GAAP EPS to grow in the range of 15% to 20%, compared to its previous guidance of 13% to 18% growth. The 15% to 20% growth implies fiscal 2010 non-GAAP EPS in the range of $0.92 to $0.96 per share. The company said it expects fiscal 2010 revenue to grow in the low-to-mid single digits, driven by modestly positive same-store sales, an extra week and about 300 planned net new stores. Starbucks expects cash flow from operations to again reach approximately $1.4 billion in fiscal 2010. For fiscal 2010, Starbucks targets about 100 net new stores in the U.S. and about 200 net new stores in International markets. Both the U.S. and International net new additions are expected to be mainly licensed stores. In order to lure consumers and counter heightened competition from rivals such as McDonald's (NYSE: MCD) and Dunkin' Donuts Coffee, Starbucks has taken a number of initiatives and has unveiled new instant coffee - called Via -the biggest product launch ever for Starbucks. New Yorkers were more inclined to buy coffee from Starbucks Corp., especially from stores near a Dunkin’ Donuts outlet, after restaurant chains were required to display calorie counts on products, Stanford University researchers found. Drink revenue increased 5 percent at the city’s Starbucks stores located within 100 meters (109 yards) of a Dunkin’ Donuts after health officials made it compulsory in mid-2008 for nutritional information to be posted on menus, they said. The company recently announced that on the 12th of January it will introduce new beverage and food options in participating U.S. stores as part of the company's continued commitment to meeting the needs of its customers looking for options. The company's stock currently trades at a forward P/E (fye 27-Sep-11) of 20.07 and PEG ratio (5 yr expected) of 1.39. In terms of stock performance, Intel shares have gained 131% percent over the past year.